I have a problem with the correct working of this gateway. # Upstream radio packet quality: 100.00%. # Upstream datagram acknowledgment quality for server "52.18.106.103" is 0.00%. # Upstream datagram acknowledgment quality for server "router.eu.thethings.network" is 0.00%. # Downstream heart beat acknowledgment quality for server "52.18.106.103" is 0.00%. # Downstream heart beat acknowledgment quality for server "router.eu.thethings.network" is 0.00%. # Downstream datagram content quality for server "52.18.106.103" is 0.00%. # Downstream datagram content quality for server "router.eu.thethings.network" is 0.00%. # Downstream radio transmission quality for server "52.18.106.103" is 0.00%. # Downstream radio transmission quality for server "router.eu.thethings.network" is 0.00%. This gateway has a static IP address and has recently been registered. The status remains “not connected”, and although it seems that data is forwarded, it is not visible at the TTN Console. Is this a DNS issue? Does anyone have an idea how I can solve this? Adding an entry nameserver 8.8.8.8 (google dns) has no effect because after a reboot this has been removed from the resolv.conf (symlink with avahi deamon). I could not remove this symlink. Adding an entry nameserver 8.8.8.8 in / etc / network / interfaces also had no effect. 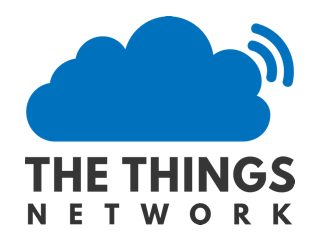 router.eu.thethings.network is an alias for bridge.eu.thethings.network.